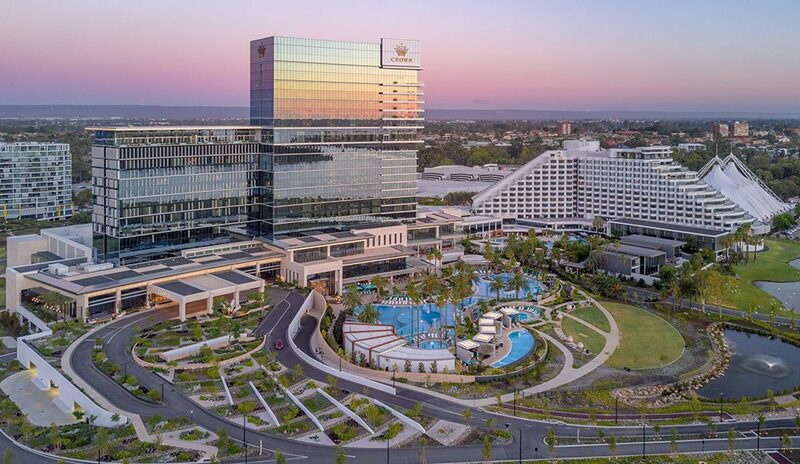 Guests are invited to stay at Crown Perth. Located on the banks of the picturesque Swan River, overlooking the Perth city skyline, Crown is home to three iconic hotels surrounded by a variety of events and conference facilities, premium dining, retail boutiques and stylish bars. Experience the unsurpassed opulence of Crown Towers, the contemporary luxury of Crown Metropol, or the relaxed style of Crown Promenade. Crown Perth is conveniently located near the International and Domestic airports, is only five minutes from Perth CBD and within walking distance of the new Perth Stadium. Crown Towers offers 500 exquisitely appointed oversized guestrooms and suites. The epitome of luxury, guest rooms and suites at Crown Towers Perth command magnificent Perth views. Intelligently designed with the latest technology and the renowned Crown Towers service, guests will have the opportunity to experience a hotel property unlike any other. Featuring expansive lagoon pools that stretch out over the Perth landscape, private cabanas, poolside dining and attentive wait staff, the leisure facilities set a new benchmark for resort living. On the banks of the Swan River, overlooking the Perth city skyline, Crown Metropol offers the ultimate in modern elegance with sumptuously furnished rooms and suites. Positioned within the heart of the Crown’s Entertainment Complex, choose from a range of world renowned restaurants and bars including Rockpool and Nobu, world-class entertainment, health and fitness facilities. Meticulously designed to meet Crown’s unparalleled level of luxury, every guest room boasts rich textures and linens, and every amenity that one expects from a modern hotel.